Straight to the Point: The Death of the PC? 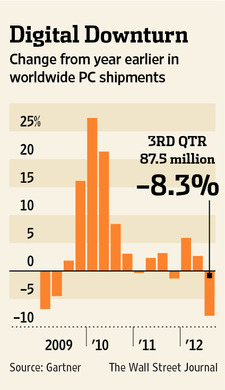 The Wall Street Journal has an interesting story about the collapse of PC sales. Is this an economic indicator or is it evidence of a shift to tablets and other non-PCs? ?